Do you need a part-time musician for your band? Maybe a DJ for the Friday’s night party? Or you just want to listen to the new music produced by your favorite local band and chat with their vocalist. Just open the app on your mobile phone or laptop and give it a try. 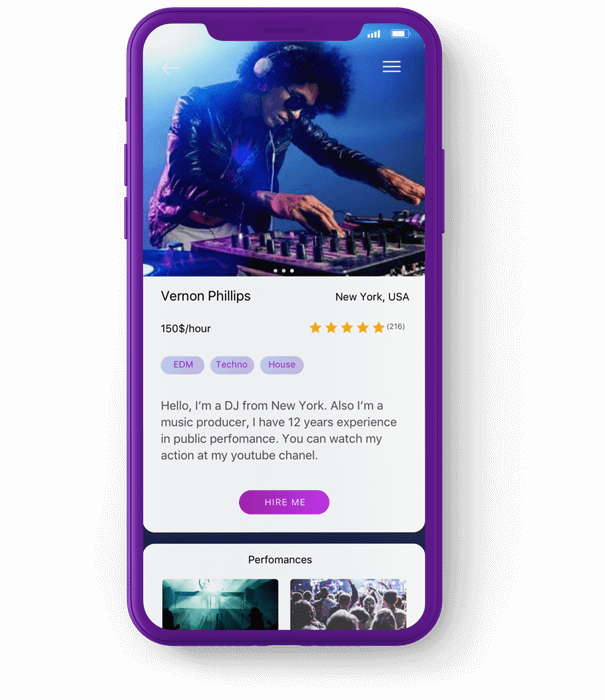 Browse through talents lists, search for musicians by genre, rating, location or availability. Look through charts to find people whose music you enjoy. Add music performers to your favorites and monitor the latest news and updates about them. Listen to hot hits or covers online. 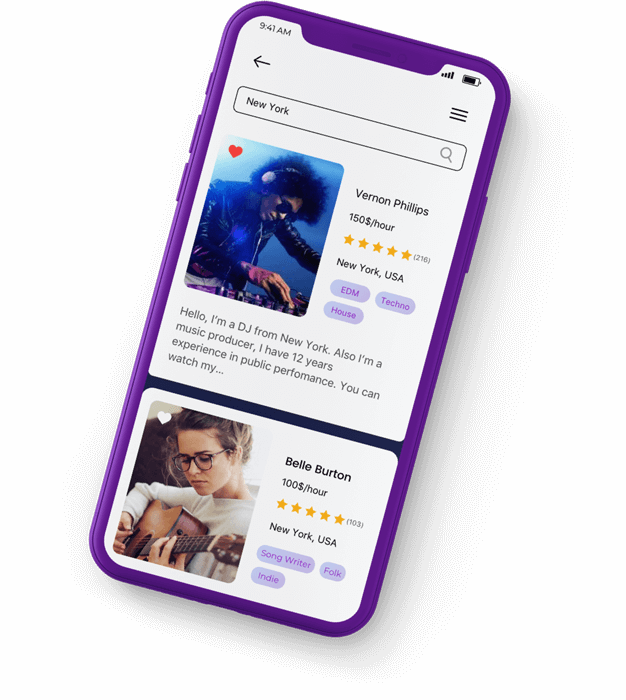 You are a musician and want the audience to rate your new song? Just register and upload your music so that others can find and steam it. Receive comments and feedback. Play radio stations generated according to your likes and preferences. 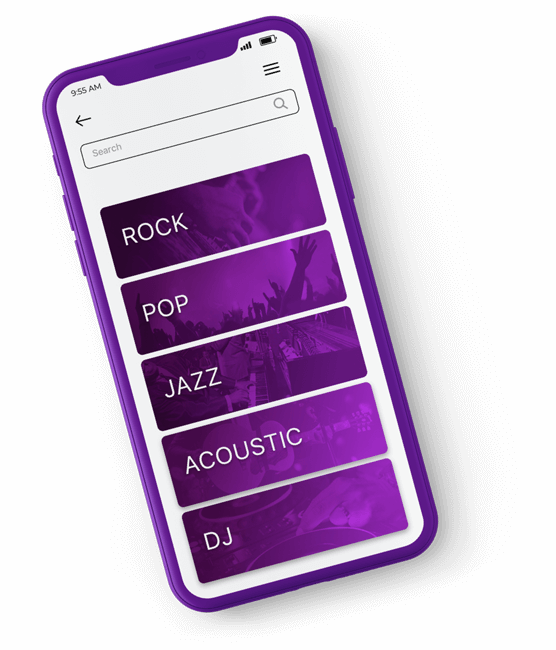 Use in-app booking to invite a talented musician to your party and entertain your guests. Find a like-minded person to organize your band or just a backup singer for one gig. No more booking agencies needed. Booking is easy and secure. Supports industry-level encryption and security standards. Custom algorithms to generate the news feed tailor-made for each user. Reflects your plays history, location, events, etc. Enjoy the full potential of messaging and notifications center. 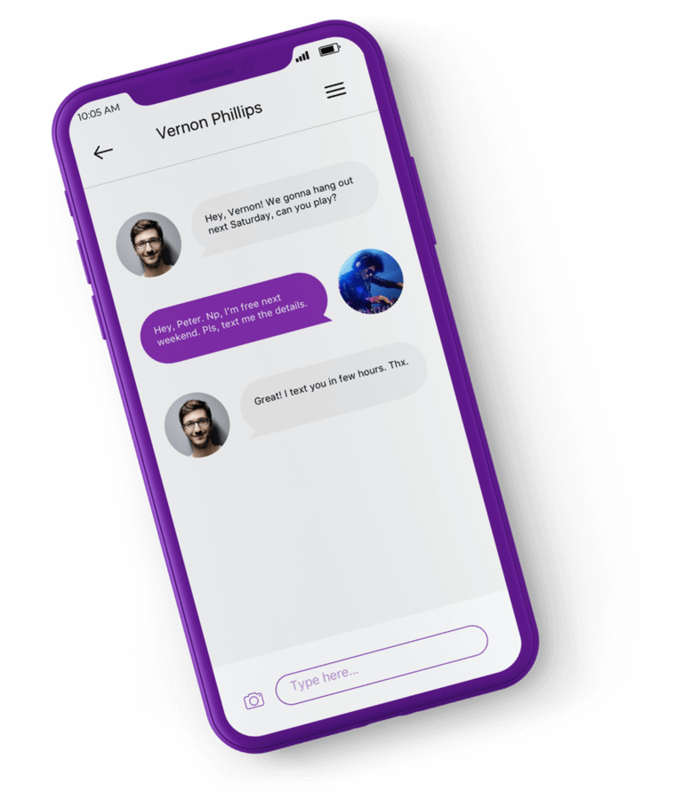 Supports file sharing, user actions, push notifications and everything you would like to receive from a messenger. Finding the song or musician you like was never that easy. Various intuitive filters allow receiving the most granularly defined results you can imagine. 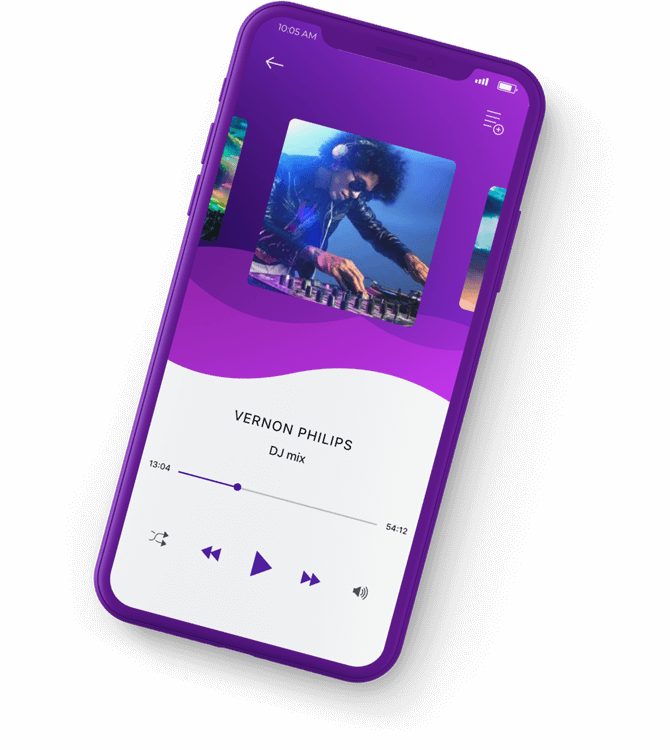 Listening to music on various devices from desktops to tablets and mobile phones.